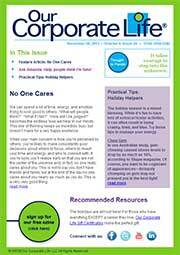 Browse past Featured Articles, Practical Tips, and Ask Amanda Q&A. Looking for a specific issue? Click here to view the archives. Subscribe to Our Corporate Life® Ezine. Fields marked with an asterisk (*) are required.